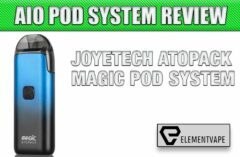 There are several things about MigVapor that sets them apart from most vendors, in my oh-so-humble opinion. MigVapor is one of only a handful of vendors that still create their own vape devices like the product I’m reviewing today, the MigVapor Minion, as well as their Vimanna e-Juice Bar and eliquid line, these are all theirs as well; original, high quality, and always enjoyable, when you know what you like anyway. It takes bravery and commitment to recognize poor planning and execution of many devices from large manufacturers and then step in and make subtle and not-so-subtle design changes, specification changes, and even packaging changes, to create a better product. There is a lot of risk is in approach, and if you’ve read Julia’s commentary about the many eliquid brands that are bailing out of the industry over the FDA, MigVapor maintains a level of optimism that should be inspiring to other vendors. Shopping migvapor.com you can see, repeatedly, a sizeable assortment of unique, top shelf vaporizers and atomizers for every segment of the vape community, as well as some of the coolest looking vaporizers, in colors you’ll want, not colors you have to settle for. The owner, Dray, has a knack for these design and color changes, his taste is very similar to my own. 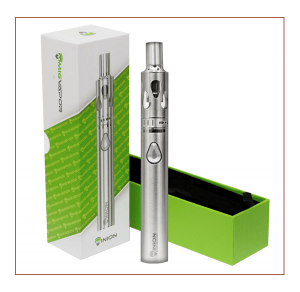 The MigVapor Minion is, at its heart, a sophisticated device, but one that even people brand new to vaping can use with ease. There are no adjustment buttons, and no complicated menu screens. Yet, with an optimized PCB board, the MigVapor Minion can provide a steady 3.5v of output no matter the charge remaining in the optimal 3000mAh battery. The Minion adjusts instantly and automatically to the resistance of the coil head, providing true fidelity of flavor and ample clouds of vapor with its 0.5Ω Kanthal and Organic Cotton coils. 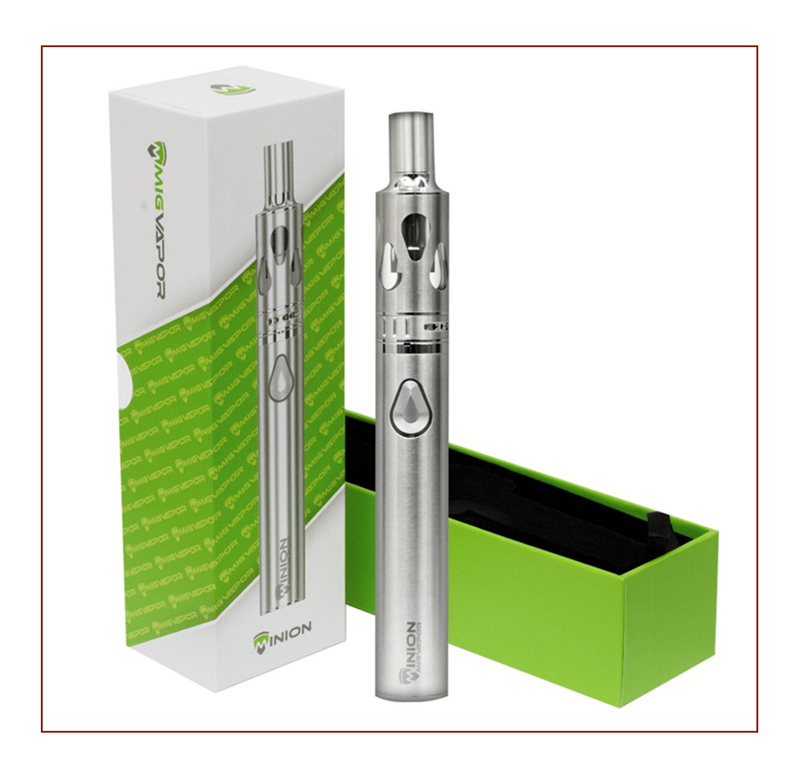 Included in the box with the Minion battery and 3mL capacity tank are two 0.5Ω coil heads, user’s manual, and a micro-USB cable. Recharging the battery is as simple of plugging the battery into a USB slot on a computer. Over the course of my time spent with the MigVapor Minion I average a recharge time of just under 2 hours, with more than 4 hours of heavy usage. I imagine light to moderate vapers would get much more than the 4 hours I get. The stainless steel sub-ohm tank allows for top filling (except for the original silver Minion tank) and easy coil changes. The airflow can be set for Mouth to Lung vapers and Direct Lung vapers. It can utilize any PG/VG blended eliquid, and during my review period I used a MaxVG blend that produced both enormous vapor and flavor. 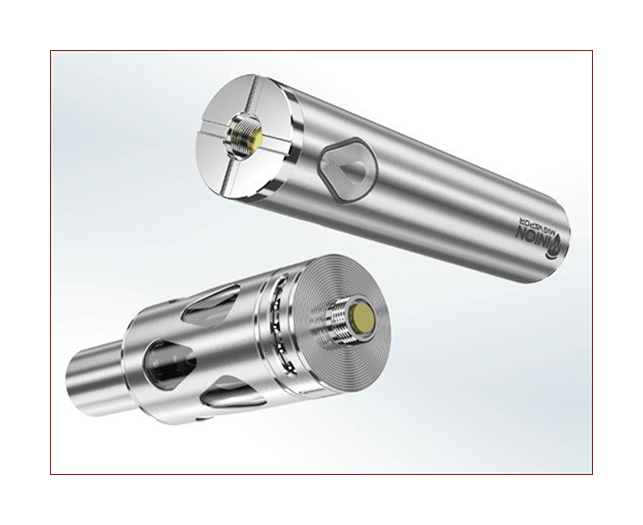 The MigVapor Minion is $89.95 for a customized kit that includes the 30W battery in your choice of color (see below), a spring-loaded 510 connector, stainless steel 3mL tank, two .5Ω coil heads, and the USB cable. 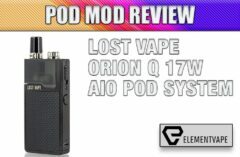 The photos provided in this review show the cool raindrop holes in the color-matched tank for an easy view of the remaining eliquid, a slightly larger raindrop shaped fire button, and the ample stainless steel drip tip for direct lung vaping. 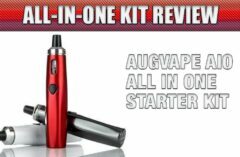 If you’re looking for a tubed shaped mod that provides the right vape every time you use it the MigVapor Minion is one I would recommend for beginners or advanced vapers looking for a device that just works. The Minion’s modern safety features that includes constant voltage output, and an internal shut down feature should the temperature inside the battery the Minion reaches more than 78 degrees centigrade. 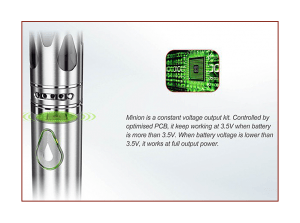 “Simple, yet powerful, the MigVapor Minion is a no muss, no fuss vaporizer that provides an excellent vape no matter how much battery life in left. No adjustment buttons, no fancy menu system, the Minion is the ultimate high performance grab and go vape kit.